The 2019 Honda HR-V has earned a Top Safety Pick (TSP) rating from the Insurance Institute for Highway Safety (IIHS), when equipped with optional front crash prevention and specific headlights, including the highest possible rating of "Good" in all six crashworthiness tests and a "Superior" rating for its available Collision Mitigation Braking System (CMBS), part of the Honda Sensing suite of driver assistive and safety technologies. Refreshed for the 2019 model year, the HR-V received numerous updates to its structure to improve frontal crash performance, as demonstrated in the IIHS' small and moderate front overlap tests. In addition, Honda Sensing is now standard on EX and above trims, which, in addition to CMBS, includes Forward Collision Warning; Road Departure Mitigation (RDM) incorporating Lane Departure Warning (LDW); Lane Keeping Assist System (LKAS); and Adaptive Cruise Control (ACC). On the new-for-2019 HR-V Touring trim, multi-element LED headlights earned an Acceptable rating in the IIHS evaluation. The 2019 HR-V is the sixth Honda model to receive a top safety rating from the IIHS. The 2019 Accord, CR-V, PIlot and Odyssey all received TSP, while the Insight earned a Top Safety Pick+, the Institute’s highest rating. 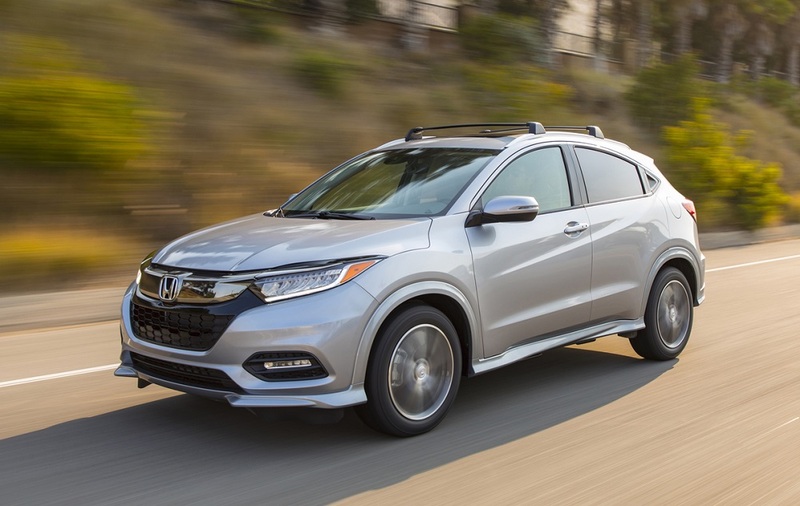 Separately, every Honda model that has been fully evaluated in NHTSA's 2019 model year NCAP testing, including the 2019 HR-V, has received a 5-Star Overall Vehicle Score.